How did the week start? Was it thrilling or still facing the Monday morning blues? Well, the trouble with my web server doesn’t seem to go away. So my day ain’t any thrilling. Anyhow, another quick post today, on how to stock the Home Bar. Before reading the article any further, head on to my previous post here, on what spirits are needed in a Home Bar. A liqueur is an alcoholic beverage made from distilled alcohol that has been flavored with fruit, cream, herbs, spices, flowers or nuts and bottled with added sugar. Liqueurs are typically quite sweet; they are usually not aged for long but may have resting periods during their production to allow flavors to marry. Black, Royal Mint-Chocolate Liqueur. 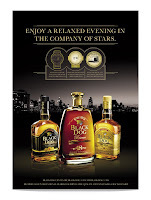 They will make wonderful cocktails when mixed with Black Dog Reserve / Black Dog Deluxe. (Stay tuned for a few recipes). Orangerie which goes well which citrus based / spicy scotch. What are your favorite liqueurs? I have actually no idea about fruit based liqueurs. Do suggest some of them for me and my readers.